There are more interesting, albeit unproven, destructive human costs of coal. Leakage of certain chemicals into the water supply, may be (preliminary) linked to heart attacks. 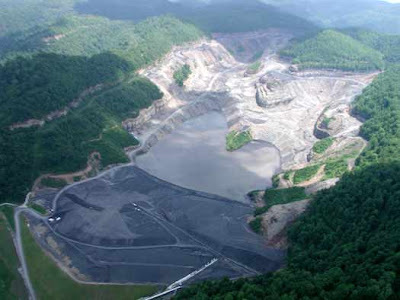 Most of West Virginia's river ways are dead, if they are down stream from coal induced runoff. West Virginia has one of the highest rates of heart attacks in the nation. Looking at the national map showing fatal heart attacks by county, one sees the highest rate emerging in West Virginia, and following the Ohio, Mississippi, rivers down to the Gulf. The state of Mississippi gets most of its drinking water from the Big Muddy, and is second to West Virginia in fatal heart attacks by county. For some reason there is a three county anomaly along the Ohio River, and but further south, several other Southern River systems whose sources lie near mountain top coal mines, also carry the highest rate of heart attacks in counties meandering along such rivers. Coincidence? Perhaps. So far not many have seen the correlation. But further research is necessary and you can be sure the coal companies will do everything to stop that from happening. But the clincher to the above argument is that those who live in Cajun country, where any afficiendo of excellent food knows that the heart attack rate should be the highest in the nation, drops considerably as one moves away from water that may have originated in West Virginia or other areas where coal runoff leaches into water supplies.